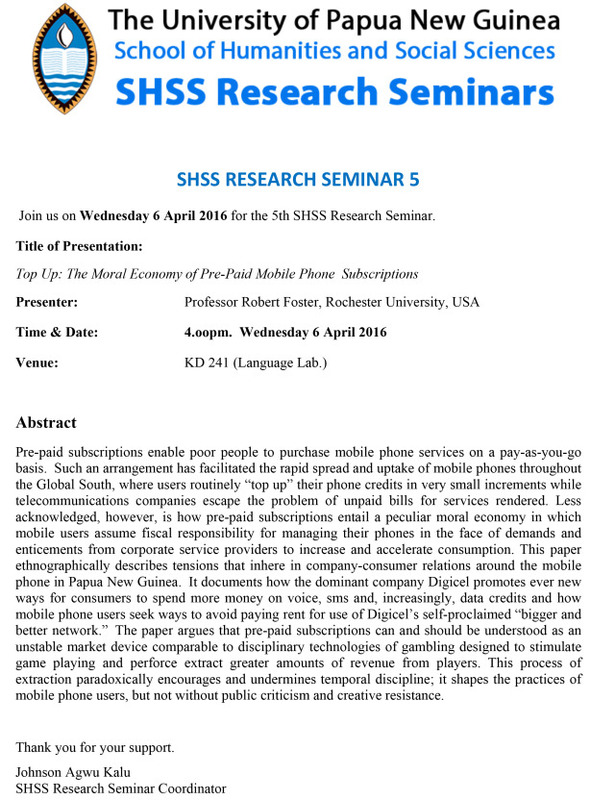 Robert Foster presented the paper, “The Moral Economy of Prepaid Mobile Phone Subscriptions” at the American Anthropological Association conference on November 20 2015 in Denver. Prepaid subscriptions enable poor people to purchase mobile phone services on a pay-as-you-go basis. 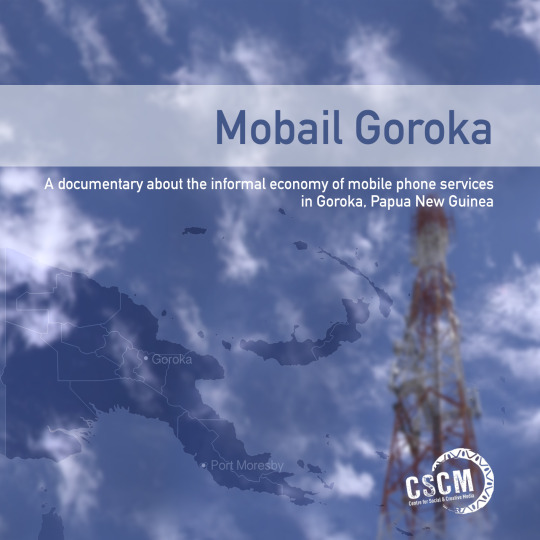 Such an arrangement has facilitated the rapid spread and uptake of mobile phones throughout the Global South, where users routinely “top-up” their phone credits in very small increments and telecommunications companies escape the problem of unpaid bills for services rendered. Less acknowledged, however,is how prepaid subscriptions entail a peculiar moral economy in which mobile users assume fiscal responsibility for managing their phones in the face of demands and enticements from corporate service providers to increase and accelerate consumption. This paper ethnographically describes tensions that inhere in company-consumer relations around the mobile phone in Papua New Guinea. It documents how the dominant company Digicel promotes ever new ways for consumers to spend more money on voice, sms and, increasingly, data credits and how mobile phone users seek ways to avoid paying rent for use of Digicel’s self-proclaimed “bigger and better network”. The paper argues that prepaid subscriptions can and should be understood as an unstable market device comparable to disciplinary technologies of gambling designed to stimulate game playing and preforce extract greater amounts of revenue from players. This process of extraction paradoxically encourages and undermines temporal discipline; it shapes the practices of mobile phone users, but not without public criticism and complaint.